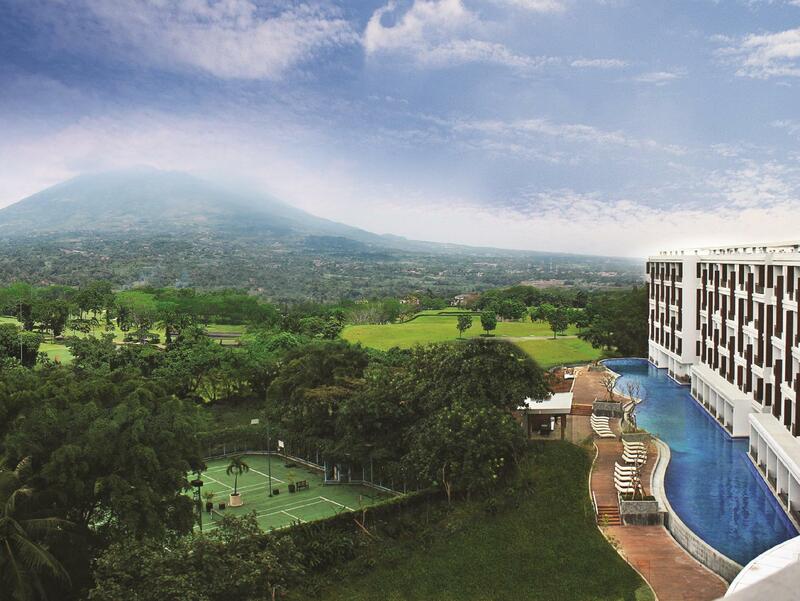 The Aston Bogor Hotel and Resort is located in Bogor making it one of the best hotels to stay at while in town. All the modern facilities are available in all of the hotel's 123 rooms. In-room facilities include non smoking rooms, air conditioning, bathrobes, desk, hair dryer, ironing board. This Bogor accommodation contains all of the facilities and conveniences you would expect from a hotel in its class. In addition, the hotel's guests can enjoy the leisure and sports facilities provided on the premises: massage, gym, spa, outdoor pool. The hotel provides a warm and welcoming service of international standard. To proceed with your reservation at the Aston Bogor Hotel and Resort via our secure online booking form, please enter your period of stay.